When she was five years old, Celina de Sola and her family left war-torn El Salvador for the US. Years later, a young Nedgine Paul Deroly moved from Haiti to the US with her family as well. As they returned as visitors to their native countries, Celina and Nedgine were confronted with an unforgiving glimpse into the staggering inequalities people their age were experiencing. 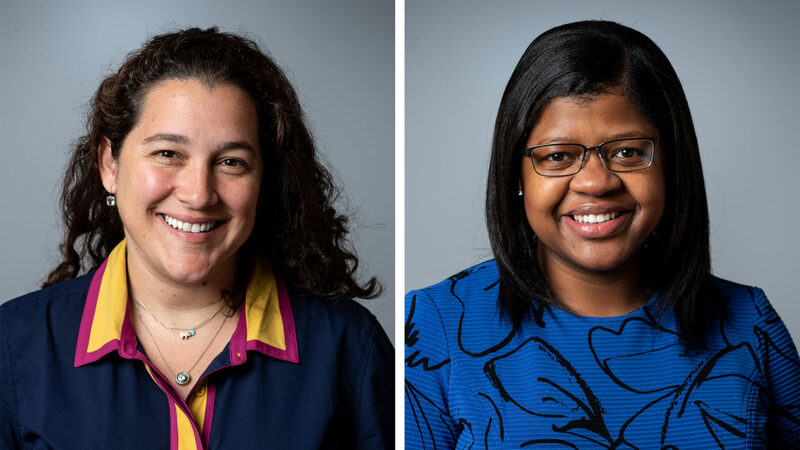 They were left with a nagging question that brought them together decades later as Obama Foundation Fellows: How can those inequalities be possible? Though they come from countries whose historical contexts and challenges differ, Celina and Nedgine share a vision of a world that celebrates the beauty and strength of their homes, which are often cast in a negative light. 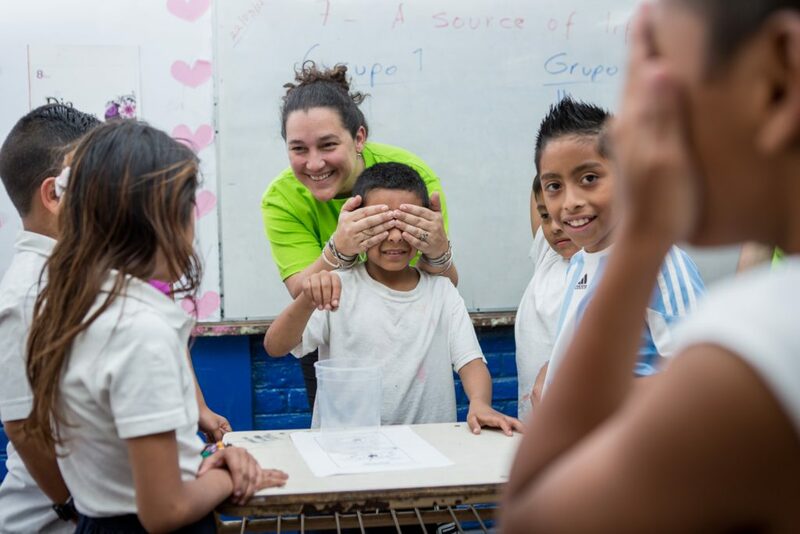 After a career traveling the world as a humanitarian relief worker and social worker and public health specialist, Celina returned home to make a difference in Central America, co-founding Glasswing International with her brother and husband. Glasswing International brings together governments, businesses, and communities to break the cycle of poverty and violence in El Salvador by leveraging existing community assets to create grassroots change. Nedgine co-founded Anseye Pou Ayiti to confront the reality that in a country where access to education is enshrined in the constitution, too many young people are still denied their right to a quality education. 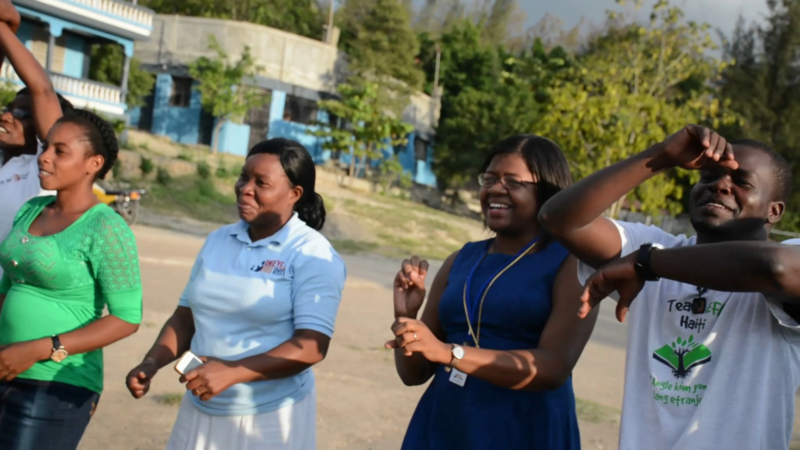 Anseye Pou Ayiti equips teachers in rural communities to be civic leaders and injects culture, shared values, and native language into curriculum to create Haitian-led collective progress. We sat down for a conversation with the two Fellows to explore how they approach their work and to learn more about its impact. Q: I wonder if we could start by telling us the first time you met. What was that encounter like? N: Yes, it’s so funny. I remember, I think we were at the same dinner table during the first full class gathering. I remember your story jumping out to me because of the vividness of the way you described the girl who you shared a story about. Your storytelling sticks with me as well as the color you bring to conversations, even your attire. I think you project a radiance, but also a power in the way you tell stories. And it carried into the first time we saw each other at the second gathering. It’s nice to look across the table at each other and say, “You have these experiences, right?” We had an immediate connection. Q: Celina, I wonder if you could share the story Nedgine just mentioned about the girl you encountered? C: The story I told wasn’t actually about Central America, ironically. I used to work in disaster relief, and one of the most transformative moments I’ve experienced was when I was in Chad during the Darfur Crisis. Every time I’d go to the refugee camp that was being set up there, I would see thousands of people entering the area, and this little girl would always come up to me. We couldn’t communicate verbally because we didn’t speak the same language, but she would always take me by the hand and we would walk around together. She’d smile and help with whatever I was doing. I remember right before I was going to leave I saw her and she showed up wearing a necklace made of little plastic beads. For many refugees, they leave with whatever they’re wearing and not much else. We were talking through body language and I motioned that her necklace was beautiful. And she gave it to me. I couldn’t believe she gave me something that had been with her during months of travel through a desert under horrible circumstances. I was totally struck by how poised, dignified, and mature she was to offer me her special possession. The power in her grace and everything about her really stood out to me. So of course I accepted it and I’ve had it ever since. For me it was a powerful reminder that the way we provide assistance at times can undermine so much of the dignity that people have and need to continue to have. It flipped a switch for me, and I realized that that kind of aid took on the white savior approach. It changed the way I thought about things and led me to co-found Glasswing International with my brother, Diego, and my husband, Ken Baker. I knew I needed to do something that was more grassroots led and informed by the people living in El Salvador, not outsiders. Q: Thank you for sharing that powerful story and how you came into this work. Nedgine, could you tell us how you founded Anseye Pou Ayiti? N: I never would have planned or envisioned myself in a role leading an organization like Anseye Pou Ayiti, but I think my steps were ordered in a way that looking back, my journey doesn’t seem like coincidence. My parents made sure their three kids didn’t forget where we came from after we moved from Haiti to the US. That was incredibly intentional on their part. And so traces of what we have now integrated into the foundation of our movement are very much part of conversations I had when I was younger; talking with my family about how the mightiness and power that comes from Haiti is very much maligned, very much misunderstood, and only portrayed in one light. So in my teen years when I went back to Haiti to try to reconcile this idea of our power, which has only existed when we’ve come together. I noticed how shut out my peers were from education. I remember turning to my father—this was when I was on a trip to one of the rural communities where I’m from—and saying “Why? In our earliest constitution in 1806, we said education is a human right. What happened in the span of those over 200 years to get to where we are now?” He didn’t have an answer for me. That was the first memory I have of him not even trying to give an answer to my endless questions. Q: What did you do next? N: I chose to listen. I chose to listen to others to figure out if people could fill in the blanks of what will never be written in our history books. 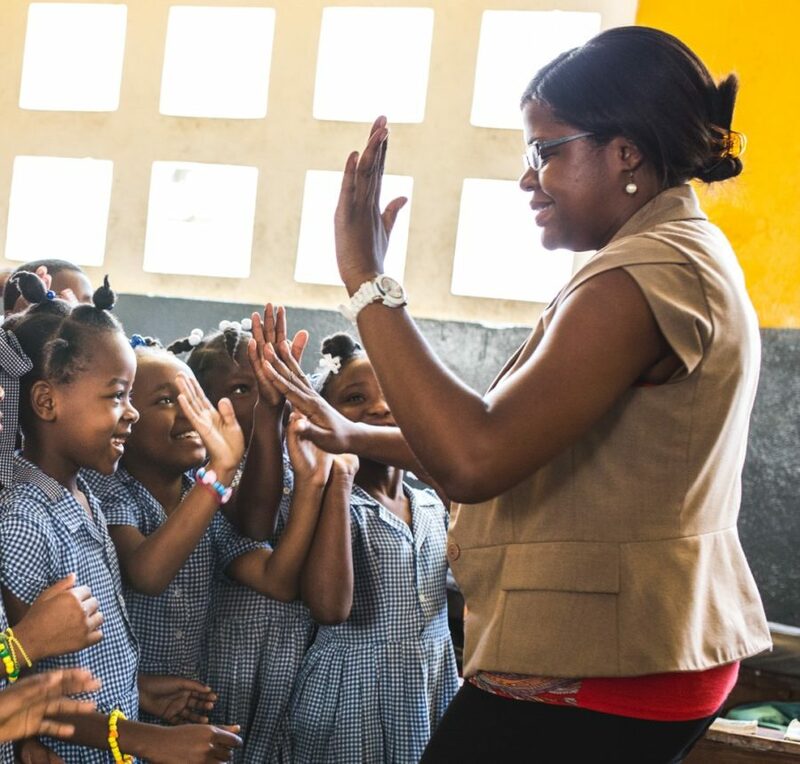 That the education system in Haiti isn’t broken, it’s doing what it was designed to do. 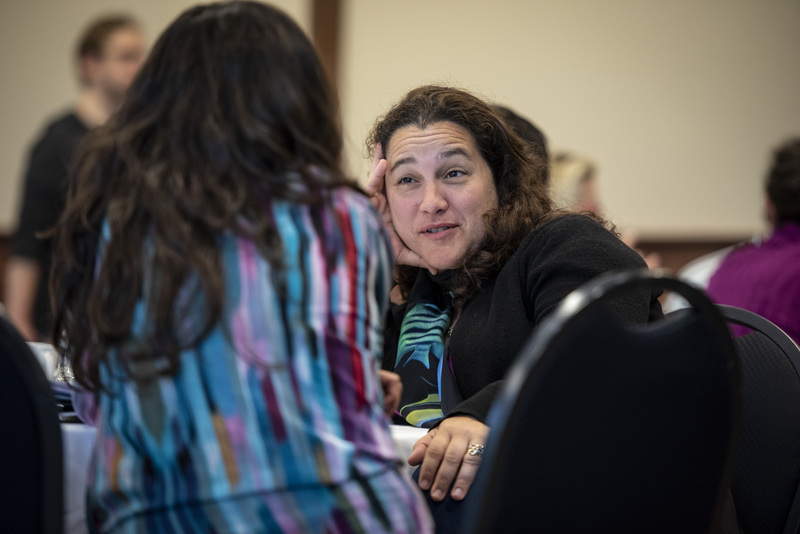 My co-founder and I embarked on a four-year listening tour, and we never thought that work would evolve into a nonprofit, but we were getting so much feedback from people who kept saying that community and culture should be integrated into the way we learn. We realized that that’s the exact opposite of what is happening in schools in Haiti at the time. I also think there are solutions in history. I want to look back to figure out some of the things that helped us solve some of the fragmentation and dehumanization of our people. When we dream about what Haiti will look like in the future, traces of answers exist in our past. That inspires me to go deeper to understand how we actually gained our freedom—our liberated approach to our own lives, our agency. That was the genesis of launching the Anseye Pou Ayiti movement. C: Nedgine and I have certain parallels in our stories. I left El Salvador with my family when I was four or five years old. We went to Guatemala first during the war, and then Miami, followed by New Jersey. We’d go back to El Salvador on vacation and my existence was so different as a tourist. I had a similar experience to Nedgine of feeling so shocked that things had gotten to where they were, and I wanted to know why. I felt like it was my responsibility to go into social service or development work because I was dealt a different hand. What was hard for me, though, was to approach the work without feeling guilty. I’d feel terrible that I was born into an amazing situation in a country where 90 percent of people aren’t. My mom’s response was simple: “Just do something about it.” So the next step was figuring out how I can leverage my inherited social networks or the ones I built to try to correct the injustice that I was seeing everywhere around me. I wanted to problem solve. I never thought it would end up as a 300-person organization. Q: One of the tensions we think exists within humanitarian aid is between short-term and long-term intervention. What are your thoughts on that tension in terms of your own work? C: Well, I’ll give you a really short answer. I think when you are helping people develop community support systems, you’re actually bringing out assets that are already there, they’re just latent. At Glasswing International, we strive for long-term resilience and long-term community supports. We help people realize they already have the tools they need in place, they just have to learn how to harness and use them. That’s how we’re able to create sustainable programs like after-school programs, employability training, parent and teacher trainings, community mental health initiatives, and regional, youth-led movements for change. At the end of the day, foreign assistance isn’t going to solve all of the systemic and structural issues we face in our countries. We—as Salvadorans, or Haitians—have to lead our own transformation. N: I completely agree with Celina on the importance of enlisting assets. I think the other thing I would add is a question on why has it become en vogue to use superficial band-aid fixes for really deep issues? People seem to feel a need to put Haiti on a CV to show that they’re good at international aid. How does a humanitarian aid institution go out of business? Why not surface long-term solutions or acknowledge that there are existing assets instead? Q: You’re putting yourself out of business if you’re really solving the underlying issue. N: Exactly. You want more business so that you have a need to be there. That’s my biggest conflict with short-term humanitarian solutions. That and the fact that short-term solutions rarely ask the “who” questions. Foreign consultants often come in and don’t know the language or the historical context, and aren’t even told it’s a requirement to understand the entire context of the place you’re working before you try to go in. You have to fully understand who you’re partnering with before you can be effective and develop leaders. 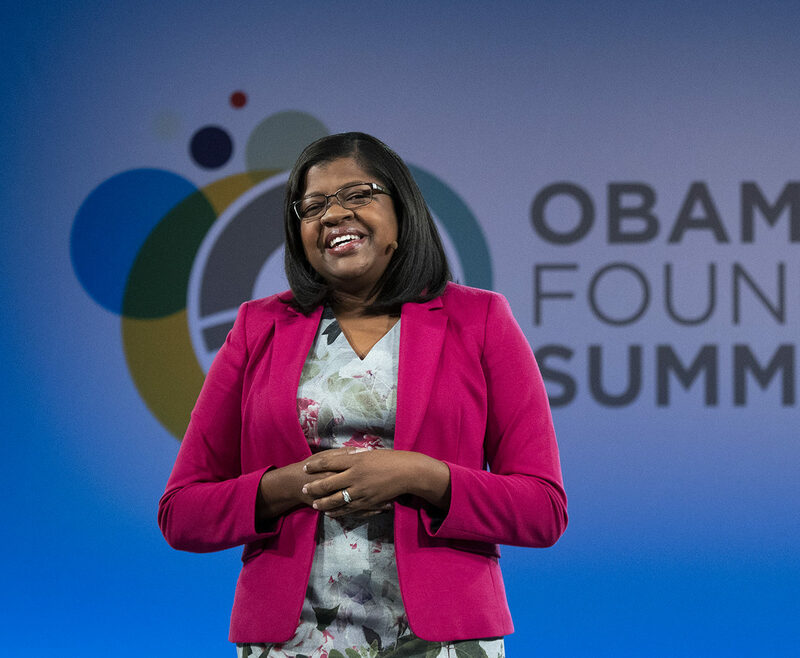 Q: To close, how has the Obama Foundation Fellowship impacted your work? N: What’s been incredible for me so far in this experience has been the reminder to not engineer smallness for our movements. Celina and I both care so much about people’s power and about what can be done with local community assets, that it can be easy to focus more on the person and lose sight of the systemic change we’re working tirelessly to create. I have been challenged, and I have been pushed in a lot of ways when it comes to movement building and dismantling systemic inequality in our specific contexts. C: I agree. I’d add that this fellowship has helped me go deep into what I believe and retrace the steps that led me to start to care about and really pay attention to social justice and carefully designed systemic oppression, like how Nedgine mentioned before. I’m putting the pieces together and thinking so much about the scale of the work I’m doing. We go really deep on one community, and it’s interesting to think about what that means as we grow Glasswing and impact more people. You can learn more about Nedgine, Celina, and meet our other current class of Fellows here. Help empower emerging leaders around the world.